The hibiscus flower, while native to Asia and the Pacific Islands, is grown all over the world and comes in over 200 species. 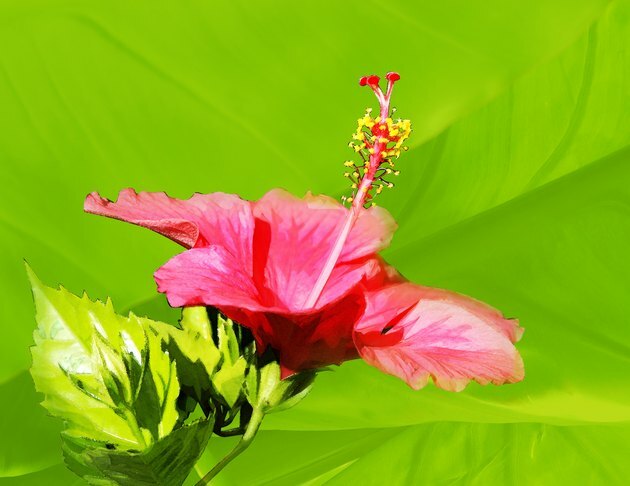 Hibiscus bloom in hues of red, pink, orange, yellow and white, each variety having its own distinct flower. 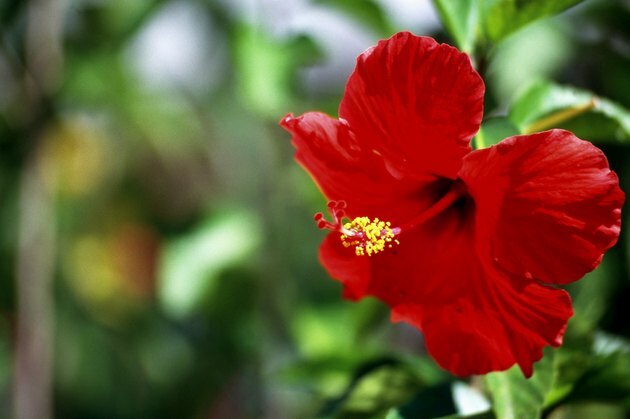 Like its genetic variety, the hibiscus also has various meanings specific to Europe, Hawaii, Japan, China, South Korea, Malaysia, Egypt, India and other areas. Dating to the Victorian era, when flowers adorned clothing, stationery, wallpaper, hats, china and jewelry, the hibiscus means "delicate beauty," relating to the sunny and delicate conditions under which it will bloom and to the fragility and beauty of its flower. Today, "delicate beauty" is the common meaning of the hibiscus when used in flower arrangements or given as a gift. In North America it is commonly known as the "rose of Sharon" and symbolizes the "perfect bride": fruitful, of beauty and one with God. A common flower of the Pacific Islands, the hibiscus, or ma 'o hau hele in Hawaiian, is the state flower of Hawaii. 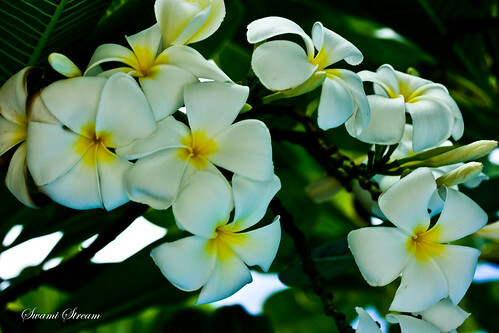 It is presented as a welcome gift to visiting state officials and tourists, often in the form of a necklace, or lei. 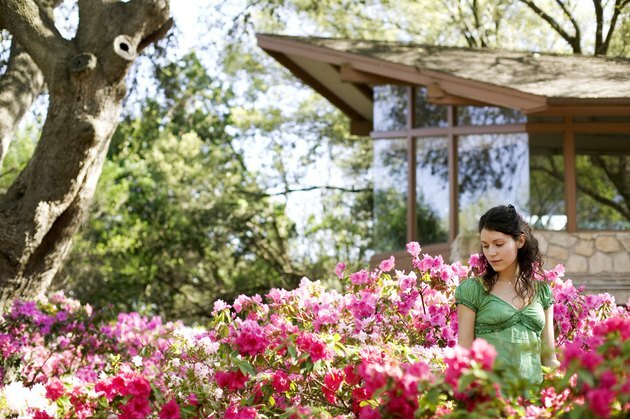 Women also wear the bloom behind ears. Behind the left ear, a hibiscus represents the woman as a desirous lover; behind the right ear, the woman is taken; behind both ears, the woman is taken but prefers another lover. The hibiscus flower is also commonly seen as a tribal tattoo. It represents "old royalty," is meant to bring power and respect and is a sign of hospitality. In the Japanese language of flowers known as hanakotoba, the hibiscus means "gentle." It is given in honor of visitors and represents the friendly customs of the Japanese. For Chinese, the hibiscus, or China rose, holds various meanings. Some Chinese identify the hibiscus with wealth and fame, while others associate its delicate flower with a young female virgin. In South Korea, the hibiscus, or mugunghwa, is the national symbol seen on national emblems. 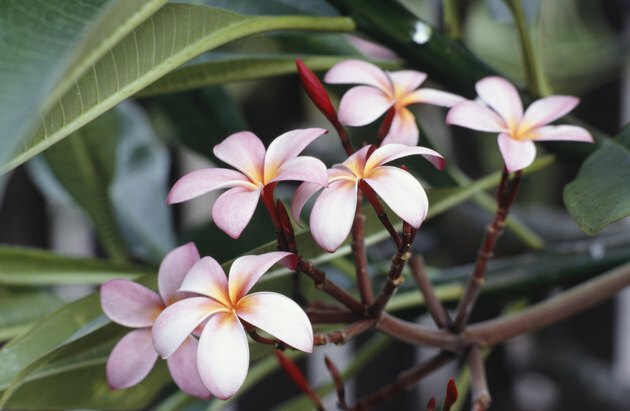 Despite the flower's fragility, it means "immortality." In weddings, it represent the immortality of love, and in war, it symbolizes the invincibility of military warriors. In Malaysia, the Chinese hibiscus, or bunga raya, is the nation's national flower and means "celebration flower." It represents life and courage and is seen on the nation's currency. In Egypt, the hibiscus is known by the Arabic name "karkade" after the roselle species. 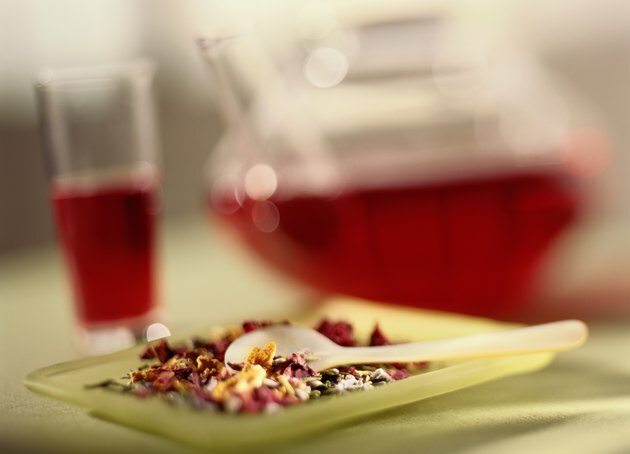 Dating back to ancient Egypt, it is used for medicinal purposes and as a ruby red flavorful tea or punch known for its calming effect. The hibiscus also is known as flower of an hour, seize the opportunity, shoe flower, Jamaica, flor de Jamaica, agua de Jamaica, red zinger, jus de bissap "national drink of Senegal," rose mallow, swamp rose mallow and kirkaday.